Lactofiltrum is a combination drug, a sorbent acting in the intestinal lumen, and an active ingredient from the group of prebiotics. The sorbing (suction) effect is manifested due to the accumulation of toxic compounds on the surface of the sorbent. Prebiotic action is expressed in stimulating the growth of beneficial intestinal flora and restoring the balance of natural microorganisms for it. According to the instructions for use, lactofiltrum as an enterosorbent, normalizing the intestinal microflora, is prescribed both in adults and in children. lactulose, a synthetic disaccharide (fructose and galactose). Getting into the colon cavity, lactulose undergoes a process of fermentation and splitting, forming important organic acids that suppress the reproduction of pathogenic flora, regulating peristalsis and fluid absorption in the lower digestive tract. The complex effect of the two active components of Lactofiltrum reduces the concentration of toxins in the intestinal cavity, restores the natural balance of microorganisms. The drug is available under the commercial names Laktofiltrum and Laktofiltrum Eco. The composition of both drugs, the active and main related components are identical, but Lactofiltrum Eco is presented not in tablet form, but more convenient for children age options: lozenges, powder for dissolving in a liquid, as well as tablets. Depending on the type of manufacturing, flavoring agents may also be present in EcoLactrum Eco. At the same time, according to the registry, Lactofiltrum refers to officially registered drugs, and Eco – to biologically active additives (BAA) due to the specifics of the manufacturer’s policy. The active components of all forms of release, regardless of the name, are the same, but their volume varies. Instructions for use allows you to easily calculate the dosage and frequency of administration of various forms of Lactofiltrum production required for different ages. in allergic reactions, manifestations of atopic dermatitis, urticaria as part of general therapy. Regardless of the age of the patient, the drug must be taken three times a day before the main meals, 30-60 minutes before a meal, drinking plenty of water. Tablets can be crushed or powder used to prepare solutions. over 12 years old and adults 2-3 tablets as prescribed by a doctor. The average duration of treatment for all age groups is 14-21 days. Prolonged courses of therapy are possible only by appointment of a specialist. Obvious contraindications include the presence of bleeding in the digestive tract of any etiology, obstruction of any part of the intestine, galactosemia (carbohydrate metabolism), individual sensitivity to the components in the composition of the drug, including allergic reactions to flavors, etc. When allergies occur or individual hypersensitivity reactions should stop taking the drug and contact a specialist to select a different form of the drug or an analogue of the drug. 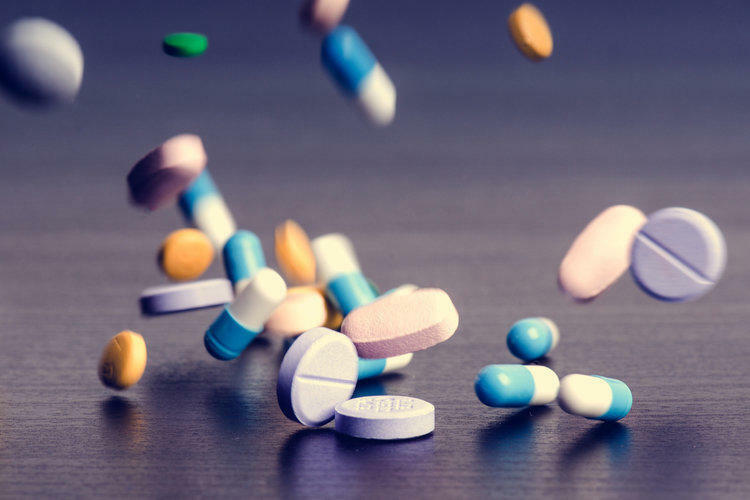 According to the instructions for the drug, caution should be exercised when prescribing Lactofiltrum in any form to patients with atonic bowel function disorder, as well as with exacerbation of gastric ulcer and duodenal ulcer. Information about the possibility of taking this drug in the period of gestation and breastfeeding is not available, since studies with the inclusion of this group of patients have not been conducted. However, the components of the drug do not have a teratogenic effect, do not have a detrimental effect on the fetus and mother if the indicated doses are observed and do not pass into breast milk during lactation. Lactofiltrum refers to drugs with a low number of recorded side effects. According to information from the manufacturer’s instructions, intestinal dyspepsia is noted in statistically significant but rarely occurring quantities (increased gas formation, manifestations of flatulence, dilution of stool). If you exceed the recommended doses, there may be a consolidation of the stool, difficulty defecation (constipation), pain in the abdomen, which is primarily due to an excess of the sorbent component. Specific therapy for overdose is not required, the use of the drug should be stopped until the symptoms disappear and consultation with the attending physician. Lactofilter has no direct effect on the therapeutic effect of taking other medications. However, it must be remembered that the sorbent in the composition of the drug can bind and remove not only toxic substances, but also the components of medicines. Therefore, oral (internal) medication should be separated by time intervals, and in case of doubt, consult a specialist. According to the instructions Laktofiltrum optimally taken 60 minutes before a meal, so you should most carefully refer to its combination with medication, which should also be taken before meals. How to recognize and treat bronchitis? What is normal blood pressure for a person?